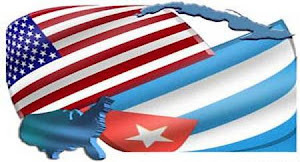 The USCubaPolitics.com returns to activity this year given the results of the 2016 election and the reversal in U.S. Cuba relations in 2017. This year however, what we propose to do to stimulate debate and dialogue is to simply ask poignant and critical questions on both sides of the issue as news develops and breaks. These are questions for both American and Cuban politicians, policymakers in both countries to confront. Hopefully we'll get answers or the lack thereof will expose hypocrisy, incongruency, and or political expediency inherent in the positions taken by the parties. We will respect Anonymity requests when posting too. We invite you to get involved and submit questions you would like to be asking both countries. Whatever your views, we look forward to the day that the United States and Cuba will have normal trade, travel, and constructive relations again. The American and Cuban peoples deserve to have this and much more between them as two nations and neighbors in the Western Hemisphere.